​Dr. 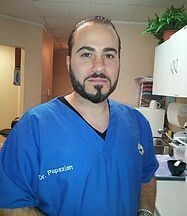 Krikor (Koko) Papazian, graduated in 1997 from Loyola University Chicago with a Bachelor's degree in Biology and received his Doctorate of Dental Sciences from the University of Illinois at Chicago College of Dentistry in 2002. Dr. Koko is a member of the American Dental Association, Chicago Dental Society, Illinois State Dental Society, and the Morton Grove Chamber of Commerce. Dr. Papazian has three lovely daughters and a wife who is an Oncology Nurse who helps set the high level of quality care at New Age Dental. Dr. Papazian is also very committed to community philanthropic, academic, civic, Boy Scouts and youth athletic organizations. 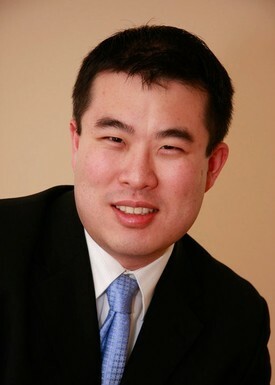 Dr. Isaac Yue grew up in Midland, Michigan and graduated from the University of Michigan with a Bachelor's of Science in Chemical Engineering. He attended the Harvard School of Dental Medicine where he began his orthodontic training at the Faculty Practice, receiving his Doctor of Dental Medicine degree in 2002. While at Harvard, Dr. Yue also conducted research in biodegradable antibiotic systems to treat gum disease, which was subsequently patented. Returning to the Midwest to complete his orthodontic training at the University of Illinois, Dr. Yue obtained his Master of Science in Oral Sciences and Certification in Orthodontics. He became board certified by the American Board of Orthodontics in 2006. This certification is an exceptional achievement, conferred upon only a small percentage of American orthodontists. Dr. Yue has been practicing in Chicago for the past fourteen years, creating happy, healthy smiles in private practice, while also serving as a Clinical Assistant Professor at University of Illinois Department of Orthodontics. His teaching certification from the University of Pacific as well as his research has brought him all over the world. He is certified in the latest techniques including Invisalign, Lingual, Damon, and Wilckodontics. But his has a particular passion for helping craniofacial patients in the Chicagoland area. Dr. Yue stays up to date with the latest techniques and technologies through continuing education and his affiliations with professional organizations. He is a member of the American Board of Orthodontics, American Association of Orthodontists, American Dental Association, Illinois Society of Orthodontics, Chicago Dental Society, American Dental Education Association, as well as numerous study clubs. He also frequently lectures to other dentists and specialists on the new innovations in orthodontics.